I came across this recipe years ago, studied and mastered it. These crispy on the outside, chewy on the inside cookies are instant hit no matter where I take them. I tweaked the recipe a little bit to make it my own. 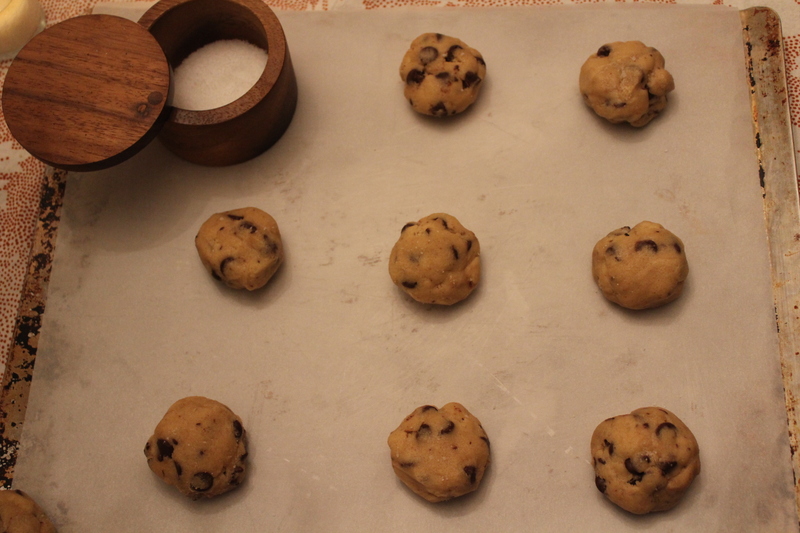 This step can be deemed as unnecessary if you have no interest in making perfectly round cookies: I weigh and shape each cookie dough by hands to make them into uniformed shape. I have made these cookies as tiny as 0.5oz/piece and as big as 3oz/piece. They all turned out well. 15 minutes at 350°F is plenty if you are going for a more brown finish. 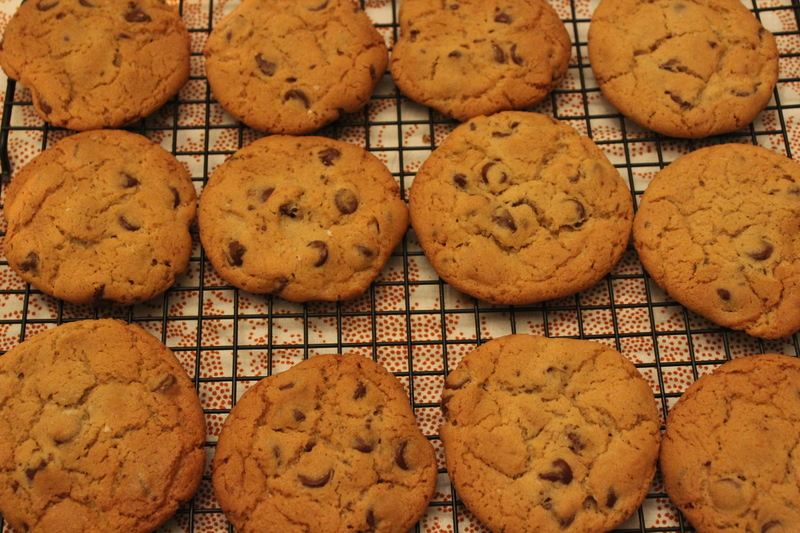 Otherwise 10 minutes will give you light golden and chewier cookies. Trust me, make them. You will love them! Previous Previous post: How to Make Mediocre Coffee Fancy?